Super digestible and packed with all the essential nutrients you need every day, sprouts should be a crucial component of your daily diet. Here explains what’s so special about this wonder food and how to grow it. We spend so much time focusing on the benefits of ‘leafy greens’ that we often forget the most nutritious vegetables known to humankind: sprouts. Sprouts are a raw, live food and convert from a dried embryo state into a sprout – which is when they reach the peak of their health-giving goodness. It is for a good reason that civilisations have been cultivating this food for more than 5,000 years (for example China, with their famous mung beans). Sprouts literally teem with nutrients, and they contain all the essential vitamins and mineral your body needs each day. In the sprouting process, the vitamin, mineral and protein content increases tenfold, and this protein is the most easily digestible of all protein in food. Simultaneously, the calories and carbohydrates decrease. Mung beans are a great example – when sprouted, their calorie and carbohydrate content drops by 15 percent, while their protein availability goes up by 30 percent. Some of the vitamin and mineral increases include the antioxidants vitamin A (285 percent), Vitamin B2 (515 percent) and Vitamin C (an infinite increase). Sprouts contain an abundance of living, easily digestible enzymes, giving your body a much needed rest from processing food as they digest by themselves, without you having to draw on your energy. Sprouts supply food in predigested form, in other words food (or rather the carbohydrates, protein and fats in them) that has already been broken down by enzymes and so made easy to digest. Sprouts are high in fibre and water which makes them helpful in preventing constipation. Eating sprouts is the safest way of reaping the health benefits of both fruit and vegetables without exposure to harmful pesticides. Work against toxins and resist cell mutations that may lead to disease. Offer the goodness of hundreds of mature plants in one meal. All seeds, grain or legumes can be sprouted, but the following are some of our favourites. Chia Sprouts : This super food is the simplest to grow. Chia sprouts have many benefits, including: their calcium content is five times that of milk, they are one of the highest known sources of omega-3s and they help to regulate blood sugar levels and absorb toxins. 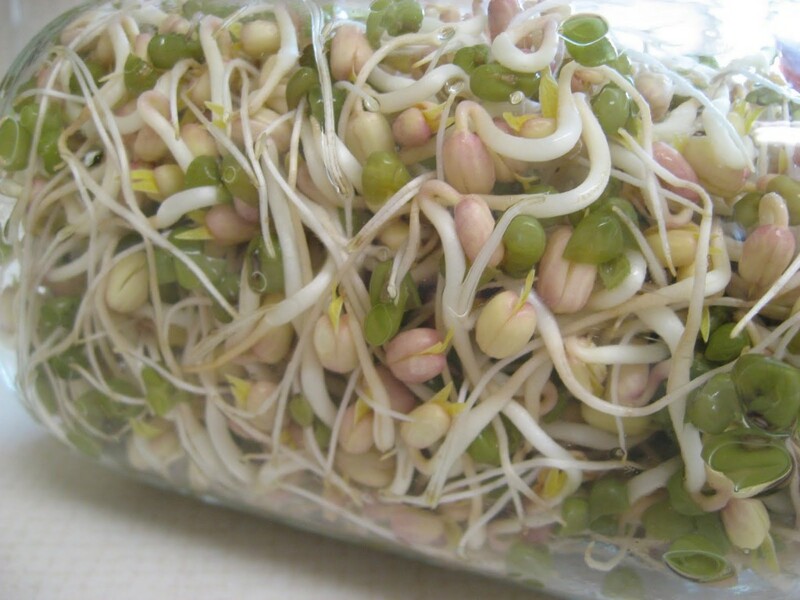 Lentil Sprouts : A great alternative to a meat-free meal, a single servings of lentil sprouts fulfill a quarter of your daily folate requirements 20 percent of daily recommended iron, and 18 percent of protein. One cup of fresh lentil sprouts deliver 20 percent of the recommended vitamin C intake, compared to 5 percent provided by the equivalent servings of cooked lentils. Radish Sprouts : From a taste and culinary perspective, radish sprouts are a spicy way to add flavour to salads. These sprouts take longer to grow than other sprouts, but they also keep longer. Remember that radish sprouts are hot, so little goes a long way! They’re packed with vitamins A, B, C, E and K, along with zinc, calcium and, iron. Quinoa Sprouts : Quinoa is a seed that’s more commonly known as a grain. It originated in South America and the Incas called it the ‘mother grain’. It’s gluten free and also a complete protein as it contains all the eight essential amino acids needed for tissue growth. (Grains like barley, wheat and rice contain less than half the protein of quinoa). Quinoa sprouts more quickly than many other sprouts (within about eight to 12 hours). You can sprout it for longer, but the texture will quickly change from soft and crunchy to very soft, plus you’ll have to eat it immediately or it’ll go rancid. Alfalfa Sprouts : Alfalfa is Arabic and means “king of sprouts”. Grown as a plant, it has roots that dig up to 12 metrews deep into the soil to retrieve powerful trace minerals, such as manganese – (important for digestion and a crucial component of human insulin). Alfalfa is also a rich source of vitamins A, B, C, E and K, and of amino acid. Broccoli sprouts, as they contain twice as much of the potent antioxidant (sulfurophane) as mature broccoli. Peanut Sprouts – new studies show that they lower bad cholesterol levels. Sunflower and Buckwheat Sprouts because they are involve in stabilising blood sugar levels and can potentially help prevent or manage diabetes. Thoroughly wash the seeds and soak them in a jar filled with pure water and covered with a tea towel. The size of your seeds will determine how long you need to soak them – small ones need around five hours, medium-sized ones eight hours and beans grains and 10 to 12 hours. Transfer the seeds to a jar filled with no more than 25 percent of water, so the soaked seeds have enough space to expand – they will grow to about eight times their original size. Close the jar tightly so no air can get in. Keep the jar in a spot that’s warm and draft-free. Always keep your sprouts well drained, otherwise, they can turn sour. Over soaking your seeds will make them rot or ferment, so check the recommended time required for your chosen seed. Too little moisture or fresh air, too much or not enough, heat as well as too much light can also affect the outcome. Sprouts are at their most tender, flavoursome and nutritious when tiny green leaves appear at the tips. To maintain their freshness and nutritional value, either eat them immediately or put them in the fridge where they’ll keep for several days.